Manufacturer: C & A Scientific Co. Inc., of Manassas, Va. Hazard: Alcohol can leak from defective soldering around the burner’s copper tubing that acts as a wick, posing a fire and burn hazard. Incidents/Injuries: C & A Scientific has received 12 reports of incidents involving leaks from the soldering around the copper tubing on the burner’s lid. One student received a minor burn to the hand. 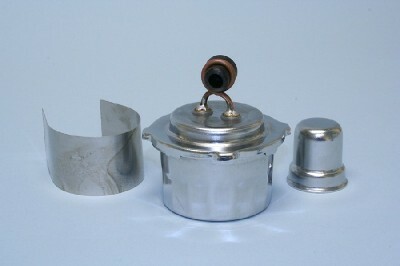 Description: The metal alcohol burner consists of a stainless steel tank with a screw-on steel lid. A copper tubing wick in the shape of a loop is soldered on the top of the burner’s lid. The burner and lid measure 3-inches in diameter by 3 ½-inches high. The burner also has a separate metal top which fits over the copper wick to act as a snuffer, and a metal heat shield designed to sit on top of the lid. Item number 97-5320 is printed on the burner’s packaging. Sold at: Education supply dealers, including Home Training Tools Ltd., by catalog mail order or Web retailers from November 2004 through October 2005 for about $5. Remedy: Consumers should stop using the recalled metal alcohol burners immediately and return them to place of purchase for replacement or refund. Consumer Contact: For additional information, contact C & A Scientific toll-free at (800) 681-6886 between 9 a.m. and 5 p.m. ET Monday through Friday. Summary: ON CERTAIN HEAVY DUTY TRUCKS EQUIPPED WITH CATERPILLAR DIESEL ENGINES, THE ENGINE ELECTRICAL GROUND CABLE THAT CONNECTS THE ENGINE BLOCK WITH THE STARTER MAY BE ROUTED IN A WAY THAT COULD CAUSE CHAFING AGAINST THE STARTER'S POSITIVE BATTERY CABLES. Consequence: IF CHAFING OCCURS BETWEEN THE POSITIVE AND NEGATIVE CABLES, AN ELECTRICAL SHORT MAY RESULT AND MAY CAUSE A VEHICLE FIRE, POSSIBLY RESULTING IN PROPERTY DAMAGE, PERSONAL INJURY OR DEATH. Remedy: DEALERS WILL INSPECT THE ENGINE GROUND CABLES FOR PROPER ROUTING. IF ANY CHAFING IS FOUND, THE ENGINE BLOCK GROUND CABLE WILL BE REPLACED WITH A SHORTER (280MM) CABLE AND ANY OTHER DAMAGED CABLES WILL BE REPLACED AND ROUTED CORRECTLY FREE OF CHARGE. THE RECALL BEGAN ON DECEMBER 21, 2005. OWNERS MAY CONTACT INTERNATIONAL AT 1-800-448-7825. Notes: INTERNATIONAL RECALL NO. 05523. CUSTOMERS MAY ALSO CONTACT THE NATIONAL HIGHWAY TRAFFIC SAFETY ADMINISTRATION'S VEHICLE SAFETY HOTLINE AT 1-888-327-4236 (TTY 1-800-424-9153), OR GO TO HTTP://WWW.SAFERCAR.GOV.